This week is a wonderful time to stop by C'est Moi, as we will be hosting a Waxing Poetic Trunk Show from Thursday (Nov. 29th) through Saturday (Dec. 1st). We have several sample books, so you can see all the beautiful jewelry they have to offer. Waxing Poetic has also sent a door prize; this year one lucky customer will win a Waxing Poetic bracelet! There is no need to make a purchase. Simply stop by the shop from Thursday through Saturday and register to win! We will also be offering special discounts on a select number of Waxing Poetic charms we have in stock that will soon be discontinued. You won't want to miss them, because once they're gone, they're gone for good! This weekend is the last chance to order Waxing Poetic jewelry if you want it in time for Christmas, so our trunk show is the perfect time to stop by the shop! As many of you know, this coming Saturday is "Small Business Saturday," which is a nation-wide effort to celebrate and support small, local businesses. We are very proud to be a part of the Brentwood business community and certainly appreciate all the support our customers have shown to us in the past. 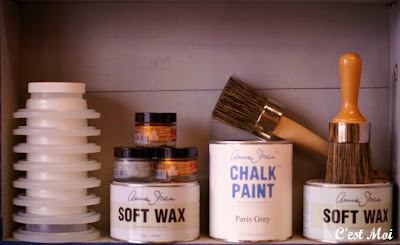 As a small thank you, we are offering $1 OFF all Annie Sloan Chalk Paint™ quarts and sample pots! This offer is valid only on Saturday, November 24th, 2012, from 10 am to 2 pm. This is a discount you don't see every day, so be sure to stop by to pick up some Chalk Paint™ for that special project you're working on! In addition, we will be giving away a free Christmas ornament to each of our first 10 customers who spend $20 or more! If you would like to support other local small businesses, check out their specials on the Brentwood Home Page. This is a great way to get some of your Christmas shopping done while supporting your local business community. We all appreciate it! Anyone whose been in C'est Moi is very familiar with Kellie Montana's amazing art work. 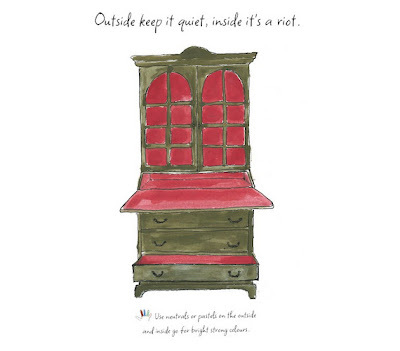 That makes us especially excited to introduce you to her equally creative sister, Ellie! Ellie builds each of these frames by hand, then uses Annie Sloan CHALK PAINT™ to spruce them up. They're sold individually, but we love this pair together. 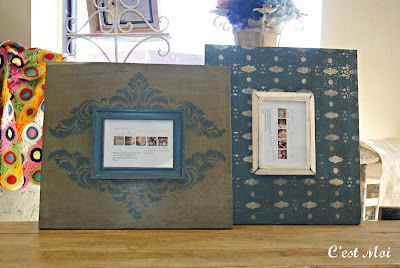 On these she featured Chateau Grey and Aubusson Blue, topped with Annie Sloan Dark Wax. Fabulous! 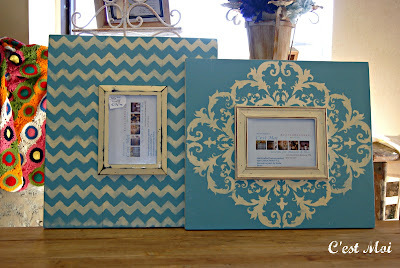 Ellie's designs range from geometric, like this one on the left, to subtle and whimsical. The small flower pattern on the frame on the right is dainty, but the dark wax on top adds vintage character and makes it feel a little more "grown up." When you're done perusing the frames, be sure to check out our latest items from Dash and Albert. 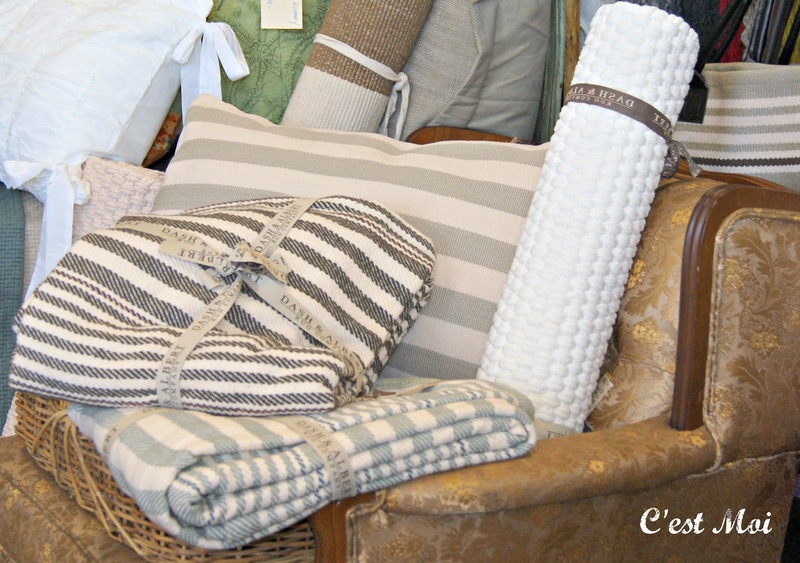 These throws are made from 100% hand loomed cotton. We love the classic stripes, and they're the perfect thing to cozy up to on a cold winter night! 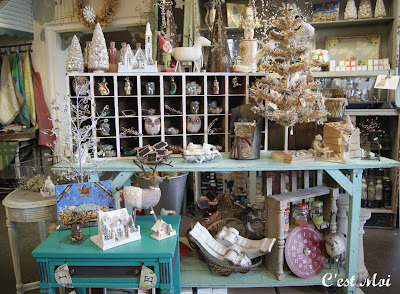 Christmas has officially arrived at C'est Moi! All of our new items have come out of their boxes and finally hit the shelves. 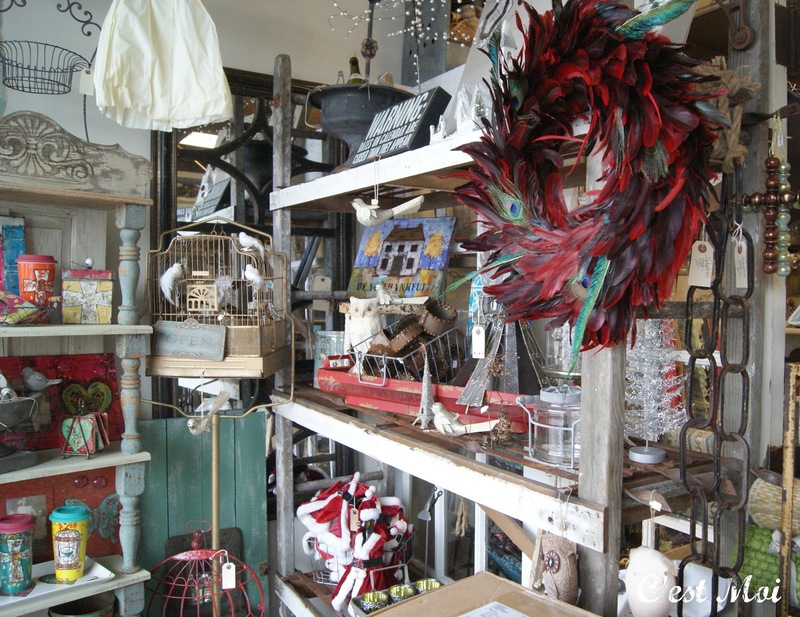 Be forewarned, though: our Christmas decorations disappear quickly, so you might want to come grab a few of your favorite things before they're gone! 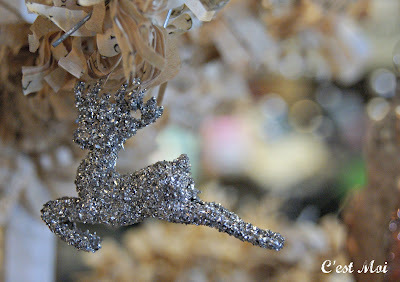 Many of our items are made with German glass glitter, including this reindeer ornament. It's not an ordinary glitter; it's actually made from crushed, colored glass. 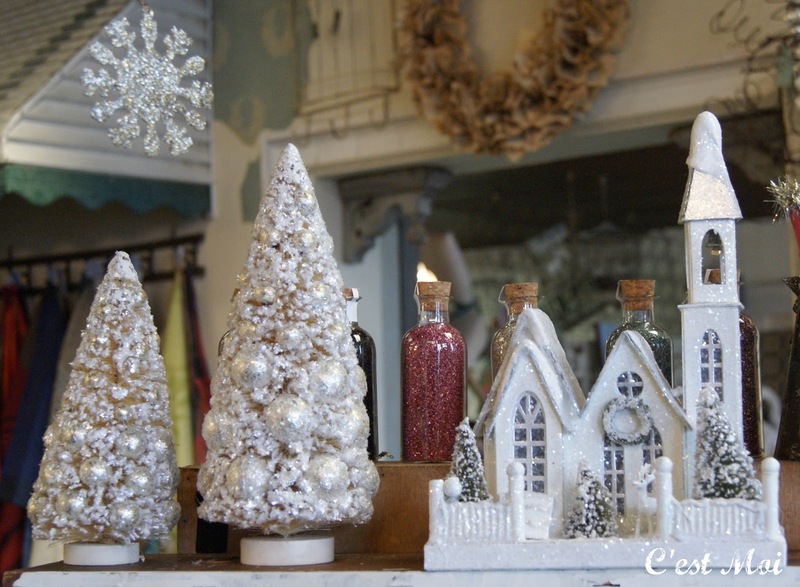 Glitters you find in most craft stores can't match its brilliance or its patina; it actually ages over time to give a worn, vintage look. 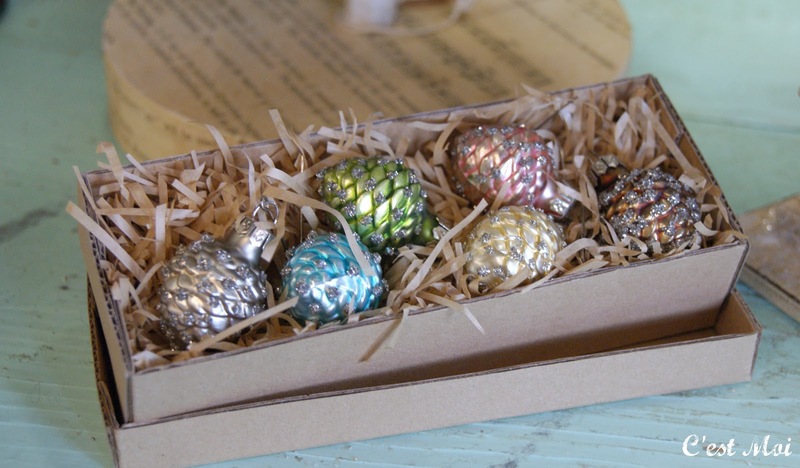 While these miniature pine cone ornaments aren't made with German glass glitter, they would add plenty of color and sparkle to any tree, big or small. They're simply adorable! Finally, don't forget about Christmas Village! Tickets are still available for Friday (tomorrow) through Sunday. Be sure to buy yours online or at the door; find C'est Moi and you'll see plenty of Christmas decor available only at Christmas Village and new art by some of our favorite local artists. See you there! 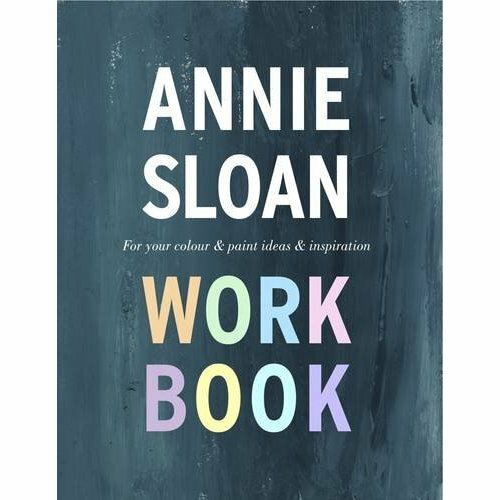 To be exact, we're talking about the Annie Sloan Work Book: For Your Colour and Paint Ideas and Inspiration. It's an understatement to say we're over the moon excited about this book! It's not just about CHALK PAINT™; it's an interactive book designed to help you develop and define what Annie calls a "visual voice and language." The wire-bound pages lie completely flat and it includes an expandable band to hold items in place. 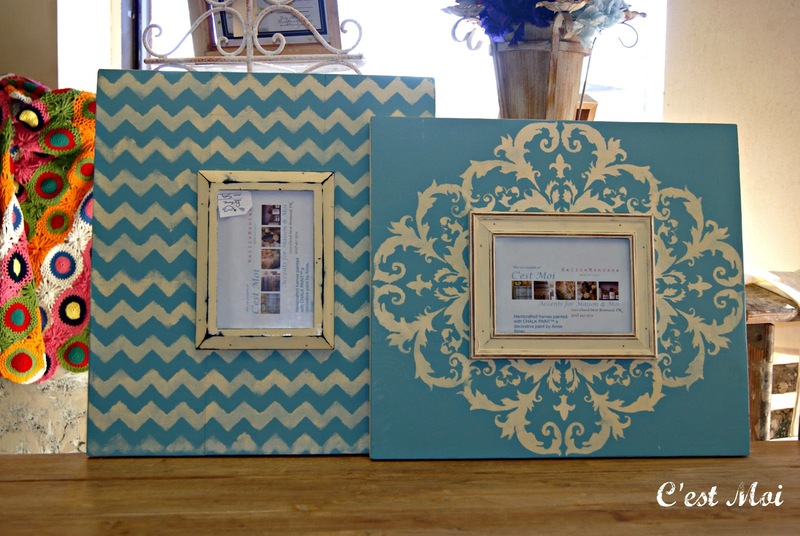 These features allow you to sketch, paint, and keep fabric samples and inspirational photos all together. 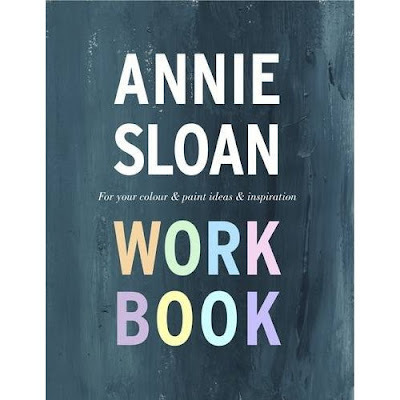 We will be receiving our shipment of the Annie Sloan Work Book next week! 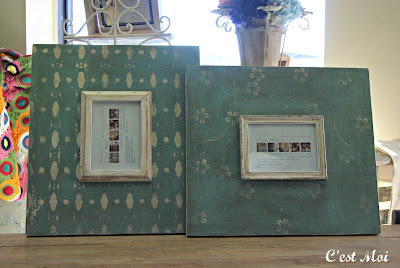 Be sure to stop by C'est Moi and get yours, as we're sure these will be flying off the shelves!